What’s the next best thing to your natural teeth? Dental implants are revolutionizing long-term teeth replacement. They’re cost-effective and built to last. Dental implants allow you to eat anything you want while smiling with confidence. Whether a single tooth is giving you trouble, or it’s your entire mouth Dr. Akmal Ahmed at Healthy Smiles of Orlando has you covered. If you live in Lake Mary, Florida, call Dr. Ahmed or schedule an appointment online to improve your smile. Dental implants restore your missing teeth and improve your jaw structure. They’re titanium cylinders surgically placed in your jawbone and beneath your gums where your tooth is missing. Dental implants replace the root of your missing tooth, supporting single crowns, bridges, and dentures. This innovative technology allows your replacement tooth to look and function like a real tooth. Success relies on an assortment of factors, but according to the American Academy of Implant Dentistry (AAID), dental implants have a long-term success rate of 97%. Although you don’t have to worry about issues like tooth decay, taking care of your gums is crucial in maintaining your implants. With good oral hygiene, like regular brushing and flossing and consistent professional cleanings, dental implants could last a lifetime. Not only do dental implants improve your appearance and your confidence, but they also allow you to eat the foods you like without worrying about the consequences on your teeth. Because your implants are made of titanium, they provide stability to your jawbone without damaging other teeth, and you won’t have tooth decay. Other options, such as dentures or bridges, can lead to bone deterioration and may interfere with eating, smiling, speaking, and other activities. While other teeth-replacement options can last only a few years to a decade, dental implants can last a lifetime, which is why they’re considered the gold standard for replacing teeth. You could be a candidate for implants if you’re missing a single tooth, multiple teeth, or all your teeth. The only exception is for growing children. Even if you suffer from bone loss due to gum disease or have pre-existing medical conditions, there are procedures Healthy Smiles of Orlando can perform to place implants. 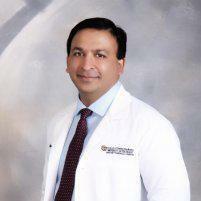 Dr. Ahmed can evaluate your condition and diagnose a plan for your specific needs. Restore your smile today. Call Healthy Smiles of Orlando or schedule an appointment online to see if dental implants are right for you.